My husband was feeling gloomy yesterday so I made him a spaghetti meatball for snack to cheer him up. First and foremost, my husband and I are on a special diet to lose weight. That is a fact. 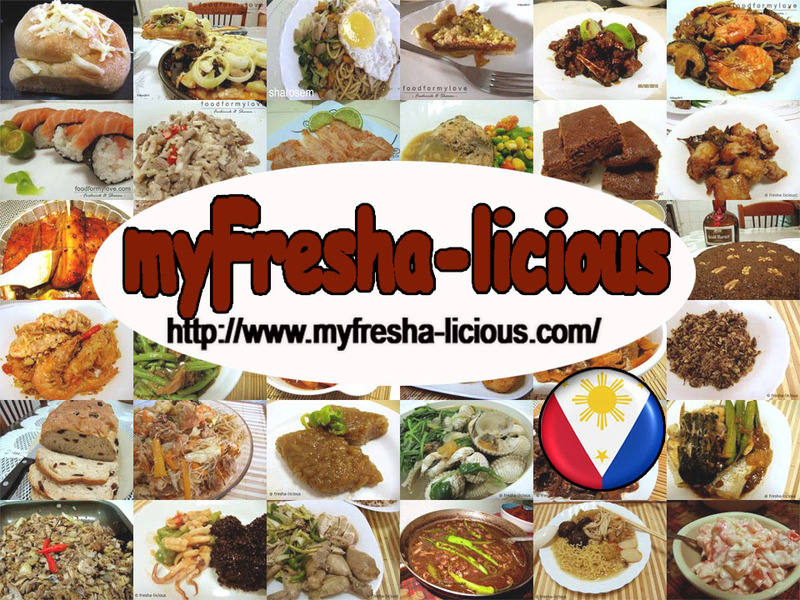 It's been almost 2 weeks since we started with our low salt, low fat, low cholesterol, and low calorie diet. BUT that doesn't mean that we are eating bland and unpalatable food which is the common notion for "diet-food". OF COURSE NOT! I made this delicious pasta dish taking into consideration our goal of losing weight, that's why I decided to make my spaghetti meatball recipe a lot healthier. 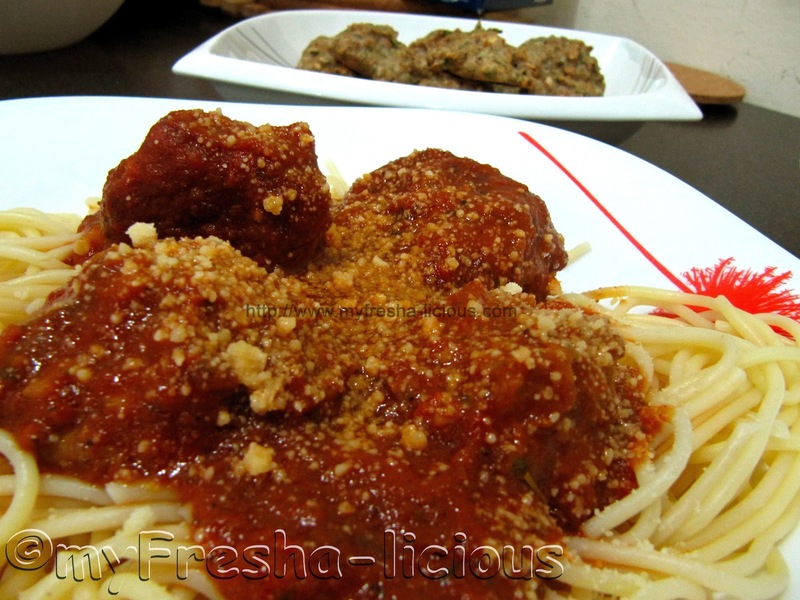 This Spaghetti Chicken Meatballs is healthy. 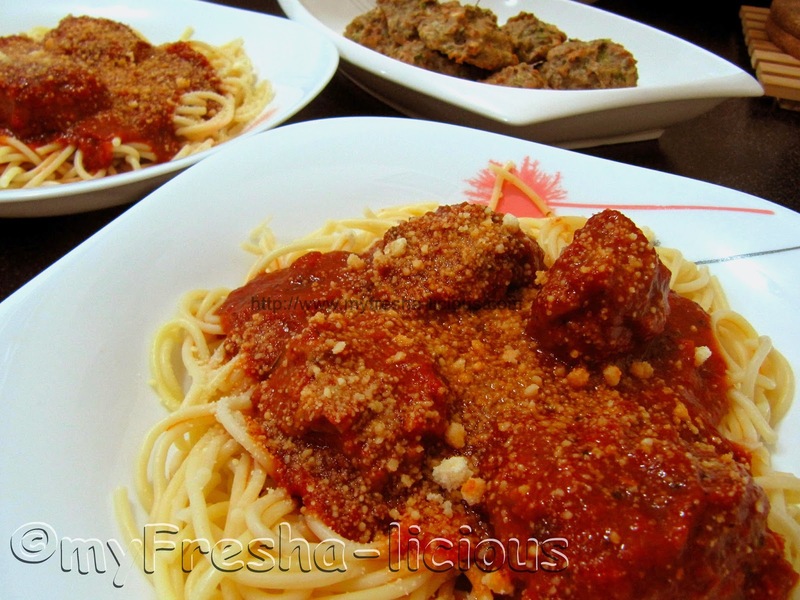 It is a healthier and equally delicious alternative to the usual spaghetti meatballs you are having as it is lower in cholesterol as well as lower in calories. First, instead of using the usual beef and pork combination, I used lean chicken meat which is lower in calorie, has almost no fat, and has almost zero cholesterol content. By lean meat, I mean the breast part of the chicken with the skin peeled off. Second, I used only white eggs and flour which are lower in calorie compared to a whole egg and bread crumbs. Third, I baked the meatballs so there is no risk of ingesting carcinogens. When oil, no matter how healthy they claim to be, are heated and had reached their smoking point, they become rancid and carcinogenic. What else? hhhmmmm Oh, I also just threw in a small amount of salt and to compensate for the flavor, I added more herbs and spices. Tomato Paste - 60 g.
1. Mix all the ingredients together and let sit for at least an hour to allow the flavors to blend. 2. Preheat oven to 200 degrees celsius. 3. Scoop out a spoonful of the meat mixture, form into a ball, then arrange them on a non-stick baking dish. 4. Bake for at least 25 minutes or until the meatballs turns brown. 3. Stir in the tomatoes. When the tomatoes soften, add the water, sweet paprika, and ground black pepper. Let it simmer for 10 minutes. 4. Add the tomato paste, sugar, cayenner, black pepper powder, and salt to taste. Let it simmer for at least 5 minutes under low fire. 5. Remove from fire and using an immersion blender, process the sauce until the texture becomes smooth. Transfer the spaghetti noodles on a plate, pour the sauce over them, sprinkle with Parmesan cheese. Off you go. Enjoy!